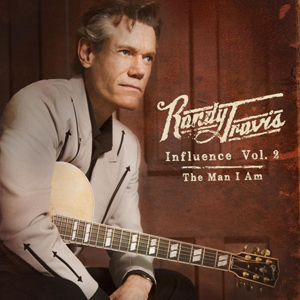 On August 19 Randy Travis is slated to release Influence Vol. 2: The Man I Am, the follow-up to last year’s Influence Vol. 1. Beginning today (July 23), those who pre-order the Warner Bros. album will be granted the track “Don’t Worry ‘Bout Me” as an instant download. In addition, the full album will be available to download on August 12, one week early, for those who pre-order. Two new tracks will be released each week leading up to the August 19 release, including “Only Daddy That’ll Walk The Line” on July 29 and “That’s The Way Love Goes” on August 5. “Tonight I’m Playin’ Possum” is currently available. Similar to Vol. 1, Travis strives to pay respect to the artists that influenced his career with his new album. Travis’ new album is available to pre-order here.